I have read this book over and over. This is a story about a mixed race girl who doesnt think she fits in at school. She absolutley loves acting and at home doesnt stop dressing up and using her imagination to make up little plays. 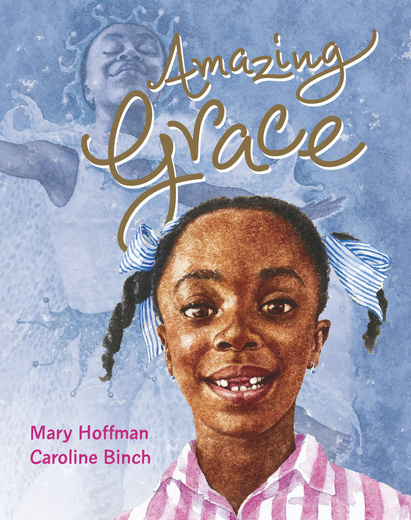 Her grandma believes in her and tells her she can be whatever she wants to be and in the end grace does just that. Beautiful story. I have this book it’s very moving.